(Excerpted from The Novena App by Barbara Calamari and Sandra DiPasqua). Bless all those who help us with our legal matters O Holy Lord God our Father we pray and keep them free from all evils. I found that whenever I have big problems that by writing to Pietrelcina God allowed supernatural answers and now when people are giving me a hard time I just enroll them in Padre Pio’s perpetual Mass remembrance. The rest I leave to God. 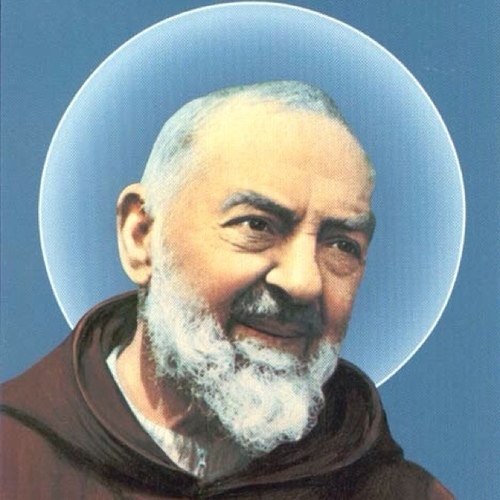 I saw Padre Pio in a vision during his canonization process while I was living in Exeter England. I saw his face in the clouds and he said simply, “I am at the throne of grace.” I have seen him several times since then in silent vision. I suppose the good Lord knows our thoughts before we think them.